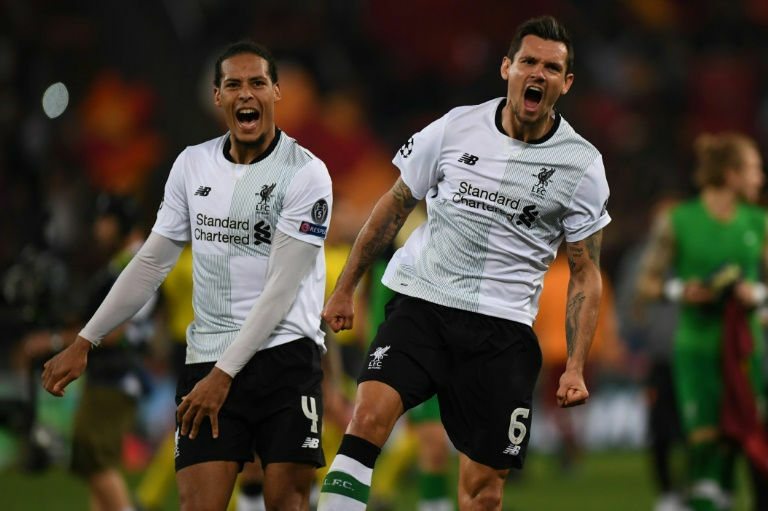 Liverpool booked a Champions League final meeting with Real Madrid after beating Roma 7-6 on aggregate in the semi-finals on Wednesday despite losing a breathless second leg at the Stadio Olimpico. After a 5-2 first-leg win last week, a 4-2 defeat on the night could not prevent the five-time champions from reaching their first final since 2007. Jurgen Klopp's men built on their Anfield victory with first-half strikes from Sadio Mane and Georginio Wijnaldum sandwiching an unfortunate James Milner own goal. Needing four unanswered goals to force extra time, Roma piled on the pressure in the second half, but failed to repeat their incredible quarter-final comeback against Barcelona despite Edin Dzeko finding the net and a late double from Radja Nainggolan. Liverpool will take on holders Real in the final at Kiev's Olympic Stadium on May 26 in a repeat of the 1981 decider which the English side won 1-0. 0 Response to "Liverpool to play Real Madrid in Champions League final"